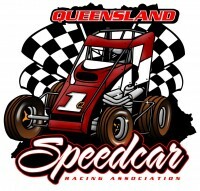 This weekend race fans the Polar Ice Midget Series return’s to the home of speedway ….. Archerfield Speedway !! Adam Clarke leads a great looking field and hoping to go back to back feature winner in R2 in the Inglis Chev Spike 29Q. Current A1 in the Compact rankings Tim Farrell making his 18/19 first appearance in the 51Q Eagle as well as current Polar Ice Champion Scotty Farmer , Anthony Chaffey has nominated in the Lindsay Brown 6V Aggressor, Scott Doyle rolls out a new …ride with the 89A from Neilson Motorsport as does Troy Ware in his new Bullet Chassis 71Q.